Hey guys, hope you are doing well. Now you may or may not know, but I am a huge fan of Lush. So I thought I would show you what I brought recently. Well if I am honest I did buy this stuff quiet a while ago. I forgot I had got them so I thought it would be good for me to write a blog post on what I got as when I did a blog post on it before some of you guys seemed to have enjoyed that. Bath Bombs are my favorite things to get from Lush as I love the things that they can do in your bath. So I brought this bath bomb called Twilight. It's a pink cotton candy colour. 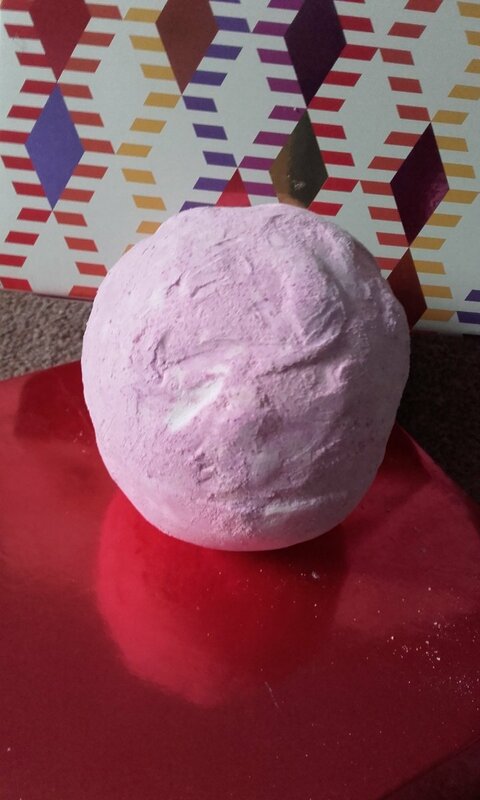 It's only £3.75 and it's a pretty big bath bomb as well so it's pretty good for the price. As you pop in into your bath water it fulls the bath with this blue and pink pastel colour and bubbles. Making the bath look all creamy. This bath bomb also helps with sleep, so if you are someone that struggles to sleep like me. Then maybe this bath bomb is for you. It has a combination of oils that get you ready for a good nights sleep. It also has lavender in it, and lavender is something that is known for helping people to sleep. With all of that the bath bomb smells amazing as well. So if you like relaxing before bed time then this bath bomb is for you. I don't normally buy these bath oil soaps but I had to get one as it seemed like something I wanted to try out. It's called You've Been Mangoed. It's green and small costing £2. Which is a very good price! It is very buttery and it's got mango and avocado in it. Which they are known for being really good for your skin. It's something that I would recommend for someone that wants to give their skin a good clean and it makes you come out smelling great too! As I did this blog post I used this product that night and didn't think about what I was doing. So means I don't have a picture for it. But here's a link to it on the lush website. 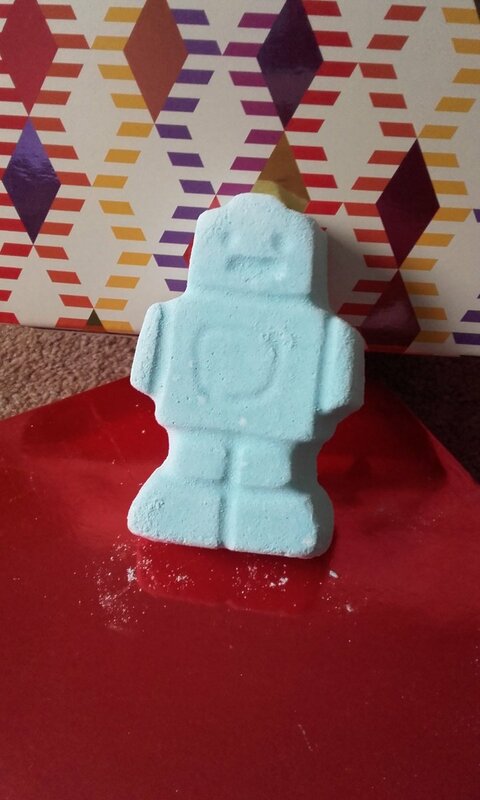 Ickle Baby Bot is another bath bomb which is something I love to get and I have gotten it a few times now. It's shaped like a robot and it's baby blue, it looks super cute. Also, only costs £1.95, so it's a bargain really. When you pop it into your bath it fizzes up and makes the water go blue. It makes your bath smell amazing and leaves you skin feeling nice and smooth. This is another thing that is great to take before bed time as it has lavender in it as well to help you sleep. It is meant for children, but it has to be one of my favorites that I like to buy for myself. As it's for children it is also very good on delicate skin, so babies over 6 months can use it. This one is my last one and this one is a very cute looking one called Milky Bath. 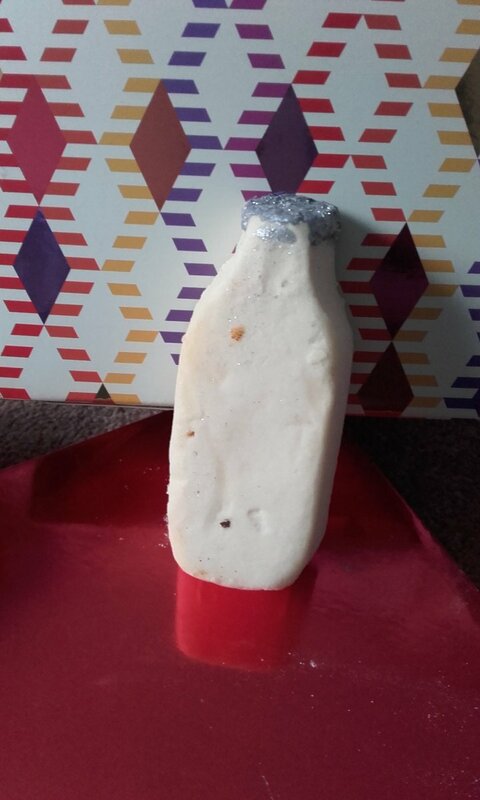 It is shaped like a milk bottle and has a silver glittery top for the lid. It cost me £3.75. 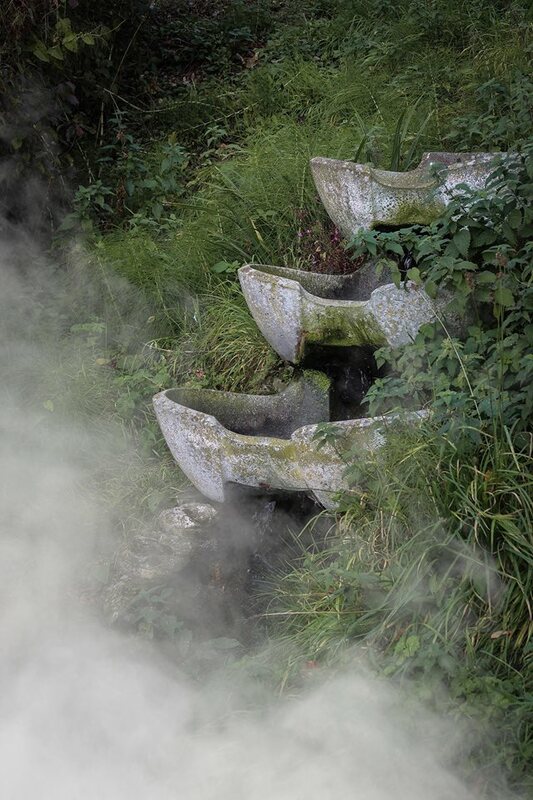 It is one that is more vintage looking than the rest which makes your bath looking bubbly and milky. If you crumble it into your bath as the water is running it'll create lots of bubbles. It has got orange oil and soya milk to help treat your skin and a coco butter top which then leaves your skin with extra softness. 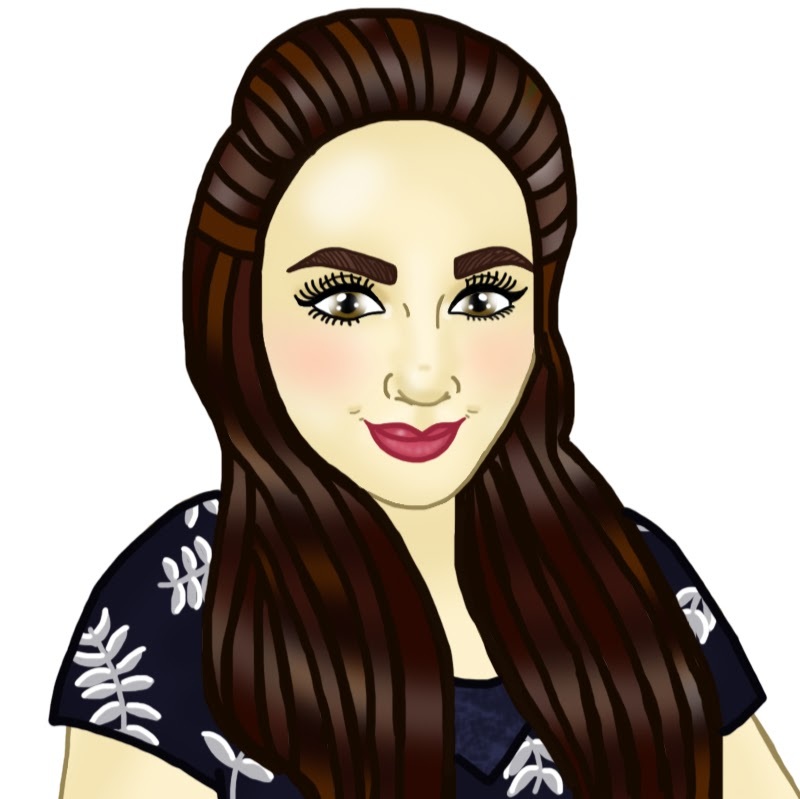 I hope you have enjoyed this weeks blog post. See you next week for another one. What I did for my birthday this year - 20th!